The Premier League will, with the other governing bodies of football, commemorate the life of Walter Tull, one of this country’s first black professional footballers and the first man of black heritage to become an officer and lead men into battle in the British Army. Tull became one of Britain’s first professional players from a black heritage, playing for Clapton FC, Tottenham Hotspur and Northampton Town. But Tull abandoned his playing career to enlist in the "Football Battalion" to fight in the First World War and rose through the army ranks to become an officer despite the explicit restrictions to promotion at the time. After serving on the Western Front, then in Italy, he was killed in action at the second battle of the Somme in March 1918. The "Tull100" project will launch on the centenary of his death, 25 March 2018, and will work through football clubs, youth groups, schools and community networks across the country to undertake innovative projects. It has as its central message, "No Barriers", developed with a Football Association Youth Advisory Group, and will work to counter discrimination by promoting equality and inclusion, regardless of race, gender, sexuality, and age. Commemorative medals will be awarded to those who make their communities more inclusive. The Premier League will incorporate Tull100 with its Truce Tournament and with Premier League Primary Stars. Clubs looking to send their Under-12 teams to the Truce Tournament in Ypres, Belgium in December 2018, will have the Tull100 project as an educational challenge. The two teams with the best projects will also win the right to play in the annual tournament in Belgium. Thousands of schools will also be encouraged to take part in the Tull100 project through Premier League clubs’ community schemes and the ground-breaking Premier League Primary Stars programme. "Walter Tull was an inspirational figure and his achievements are rightly recognised in football and beyond," Richard Scudamore, Premier League Executive Chairman, said. 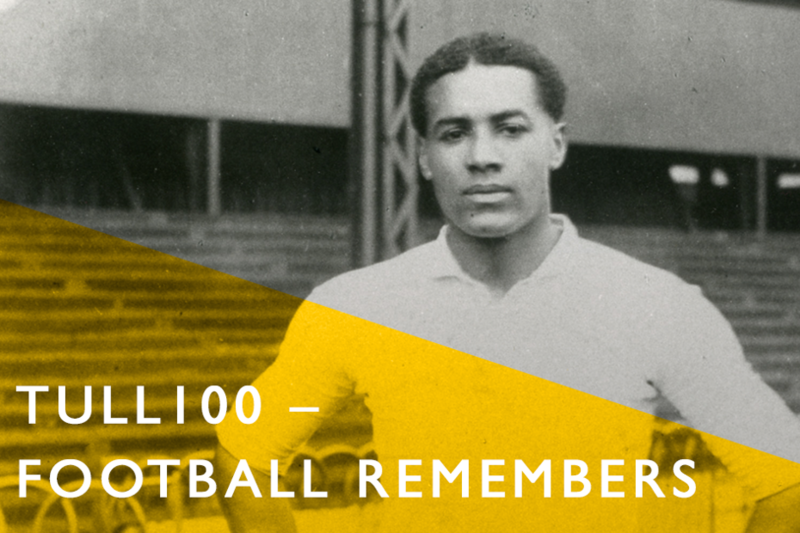 "As Britain’s first Army officer of black heritage, and an outstanding footballer, it is important that his story continues to be told and his life commemorated at this important time. "The Premier League’s support for this programme complements the range of Centenary activity clubs will this year deliver in schools and Academies, including honouring the lives of former players who served their country during the First World War." Communities Minister Lord Bourne said: "This ambitious project will also hold a mirror to our times; allowing young people to see how far we have come and ensure progress continues in creating a society where everyone, regardless of background, can reach their full potential."